Are you looking for dinner this Friday? Join us for a pasta dinner before going to the play’s opening night. The class of 2024 is sponsoring dinner from 4-6 this Friday night. The cost is $5/person or $20/family. RSVP to Mrs. Meyers through Schoology or email her at dmeyers@berlincentral.org to reserve your spot! 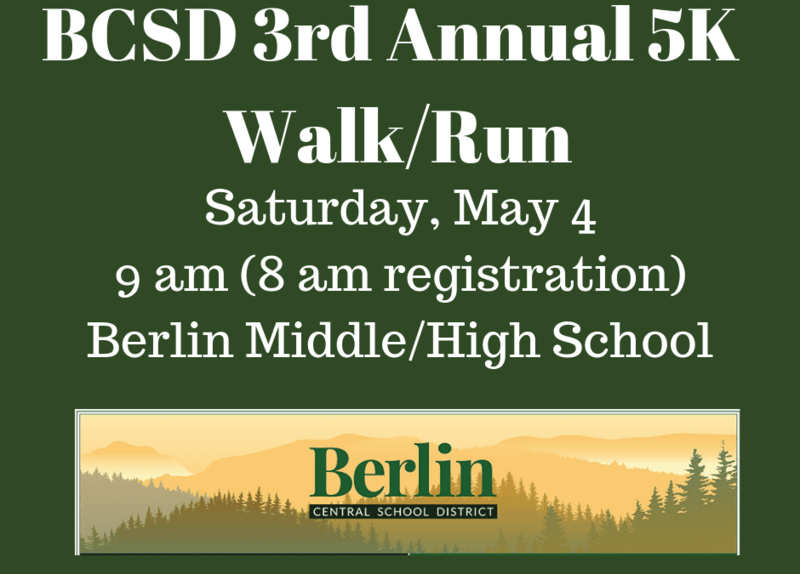 The Berlin Central School 3rd Annual 5K Walk/Run and Wellness Fair is Scheduled for Saturday, May 4. The race will start in the Berlin Middle/High School parking lot at 9 a.m (race day registration 8-8:30 a.m). 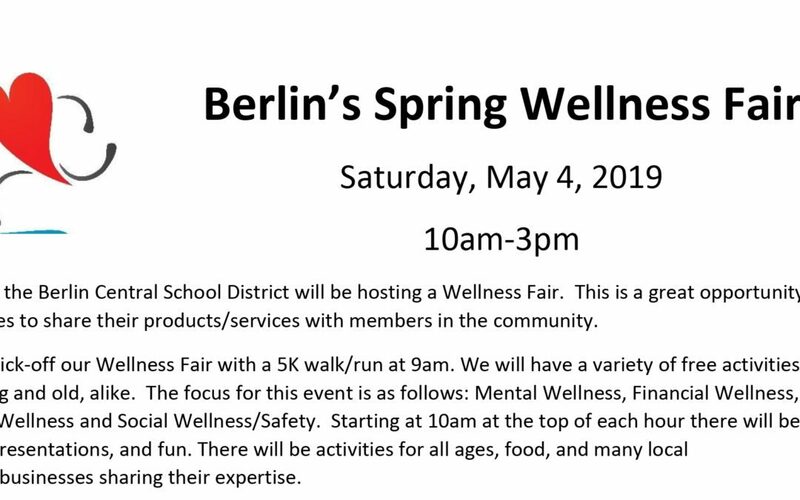 On Saturday, May 4th from 9 am to 3 pm, The Berlin Central School District will be bringing back The Wellness Fair. This is a great opportunity for businesses to share their products and or services with members in the community. 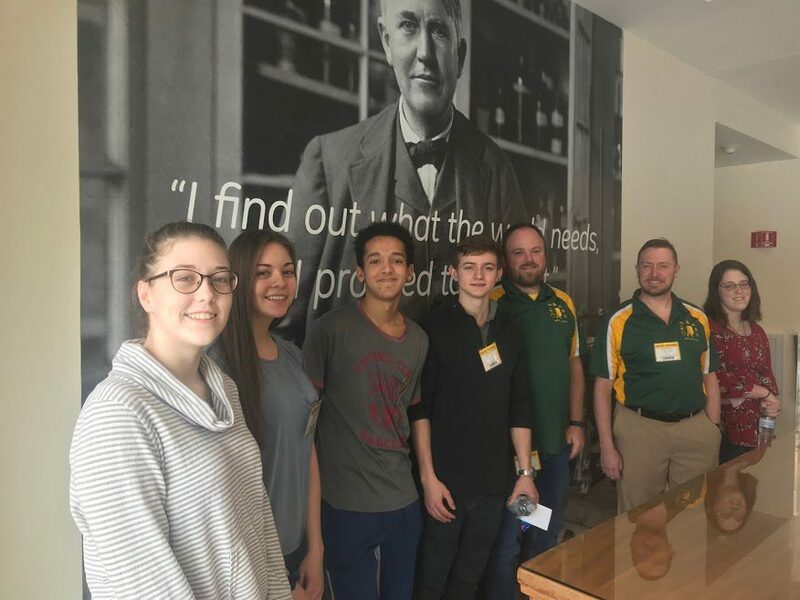 On Saturday, March 2, Berlin Middle and High School sent teams to compete in the annual Regional Qualifier for the Department of Energy National Science Bowl, which was held at The GE Global Research Center in Niskayuna, NY. The Berlin Central School District is preparing to administer the New York State third- through eighth-grade assessments in English Language Arts on April 2 and 3 and Mathematics on May 1 and 2. 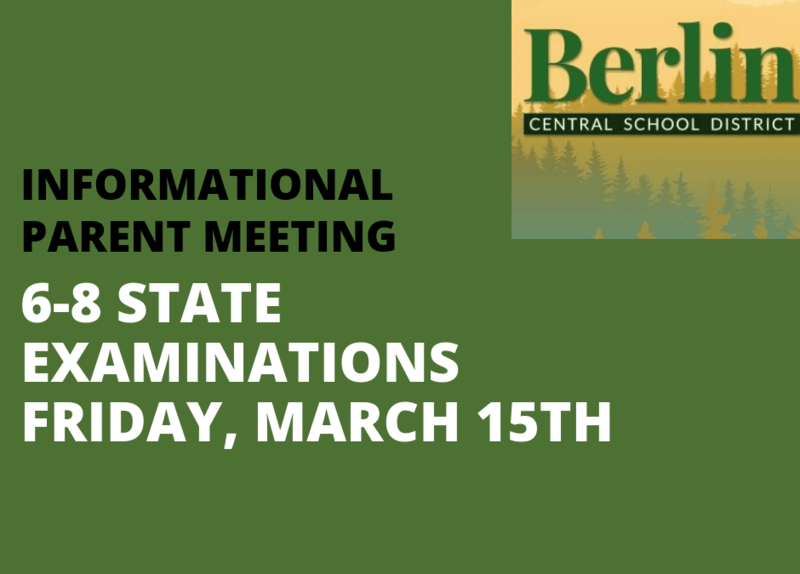 On Friday, March 15, we will hold a brief informational meeting for parents related to the 6-8 State Examinations. This presentation will be at 6:30 on March 15 so parents may conveniently come just after the pasta dinner and just before the musical presentation of Fiddler on the Roof. The meeting is intended for all parents of students in grades 6-8 and will be especially helpful for those parents who have chosen not to have their children take the exam in the past. The exam has changed significantly and we hope to highlight the improvements made to the exams.